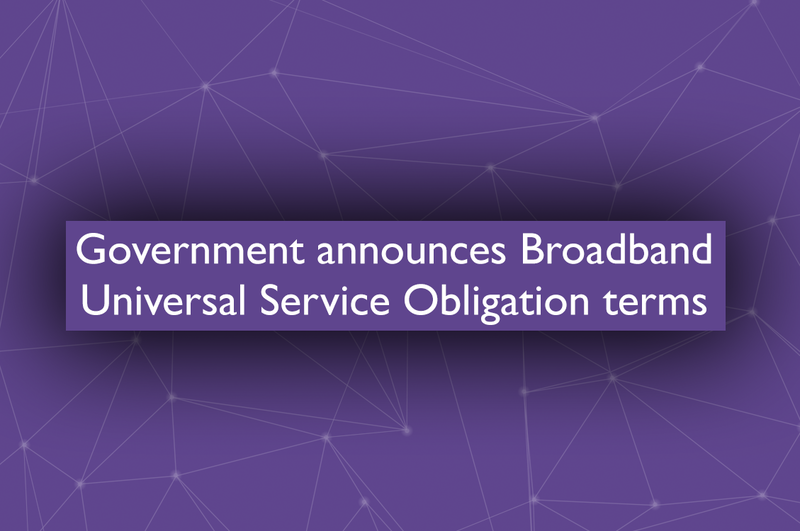 The Government announced on Wednesday 28th of March 2018 the terms for the Universal Service Obligation (USO) for Broadband. Expected since the Digital Economy Act 2017, the obligation will be administered by Ofcom and (in summary) obliges BT (and KCom in Hull) to provide 10Mbps download (1Mbps upload) broadband as a minimum, on demand from 2020. To make sure this doesn’t become completely meaningless there is also a minimum quality set with latency (signal delay) of no more than 200ms, a maximum contention ratio of 50:1 and a 100GB minimum data allowance. While the standards are set against average use its likely that many will find some or all of the minimum standards a major limitation, especially the contention ration which affects voice and video quality and the data allowance which will be inadequate for households streaming any quantity of video content. “These standards fall well short of the SuperFast standard speeds set which we believe have become almost a minimum level for households, or the 100Mbps Ultrafast standards indicated for businesses. We have always believed that businesses need pure fibre connectivity to compete and that anything short of this will rapidly become out of date”. There is also a sting in the tail for the most remote rural users in that capital costs have been capped at £3,400 per “eligible” property leaving many rural businesses and households to fund the gap, aggregate capacity with other users themselves or rely on satellite which can be expensive and has even lower standards than the USO.